Entertainment | Aaron Harber "Unplugged"
It’s Better Than The Movie! Those looking for a cast which includes the likes of Gene Wilder, Marty Feldman, Cloris Leachman, Teri Garr, Gene Hackman, and Madeline Kahn, among many others who starred in the 1974 movie “Young Frankenstein” might be disappointed but the extraordinary stage version quickly makes you forget the movie. 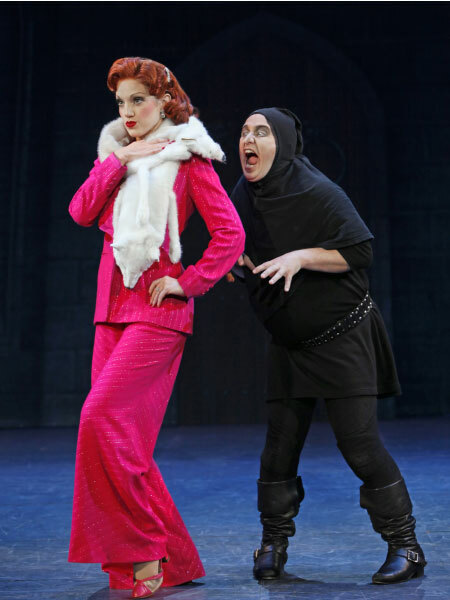 “Young Frankenstein” is a solid two hours of fun and laughs at everyone’s expense (including the English language). The “live” version is an entirely different experience and easily overcomes the advantages of film. Because you know what is real and what isn’t onstage, the live version is a superior experience in many respects. With songs such as “Please Don’t Touch Me” — tied with the amazing production of “Puttin’ On The Ritz” as the best and funniest numbers of the night — when executed superbly (and “Inga,” played by Anne Horak, may be the best in the cast) and mingled with the ample breasts of the cast and male genitalia jokes (one expects both from Mel Brooks), the quickly-paced show keeps its audience thinking fast and laughing hard non-stop. There is an extraordinary amount of creativity in “Young Frankenstein” — from the sets to the props — which, although are easily discerned by any theatergoer, keep being surprising. “Young Frankenstein” plays at the Buell Theatre through June 27th. 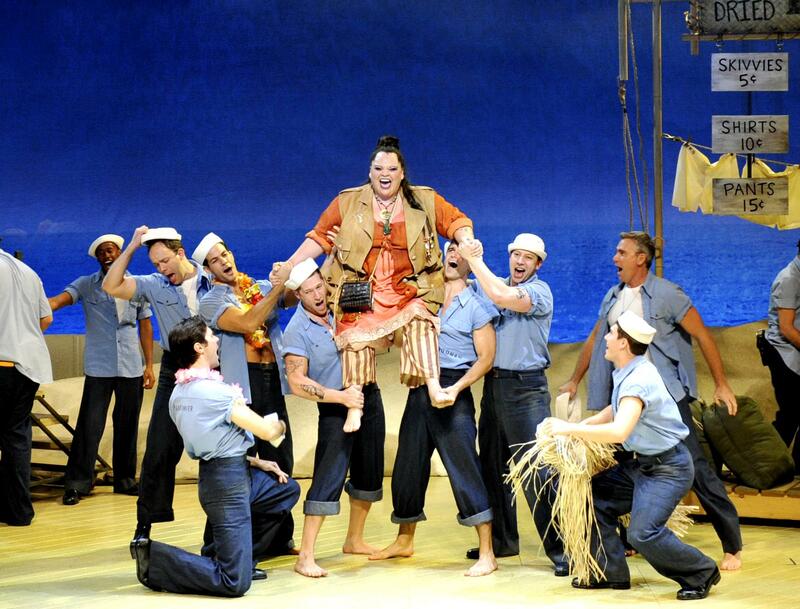 Tickets can be purchased at http://www.DenverCenter.org. Aaron Harber hosts “The Aaron Harber Show TM” (www.HarberTV.com) seen at 8:00 pm on Sundays on KCDO-TV Channel 3 and “Colorado Election 2010 TM” seen Sundays at 8:30 pm on KCDO-TV and Mondays on COMCAST Entertainment Television at 8:00 pm and viewable 24/7 at http://www.Colorado2010.com. Send e-mail to Aaron@HarberTV.com. (C) Copyright 2010 by Aaron Harber and USA Talk Network, Inc. All rights reserved. While “In The Heights” (www.InTheHeightsTheMusical.com) delivers the music, dancing, and humor one would expect from a production which won four Tony Awards and a Grammy for Best Musical Show Album, the themes of real family values are what come through in a delightfully heartfelt way. The corollary role of money in society and the impact it has on the path one takes in life also is adeptly exposed in the story set in a New York City barrio. The show’s incredibly fast pace keeps the audience on its toes as evocative dialogue, intelligible rap, and fervent music are adroitly intertwined. The stellar performances range widely with at least five cast members seemingly “stealing the show” from scene to scene. It is an acting, dancing, and singing relay race with the performance baton being handed from one superb runner to an even better one time after time. Only Stanford University alumni were likely to initially be disgruntled at the experience of one of the show’s stars when she dropped out due to poor grades and insufficient funds. In real life, the University would have extended help on both fronts but that would have eliminated a key plot line. But all was forgiven in the name of poetic license as the entire audience deservedly gave the cast a standing ovation. “In The Heights” goes through May 9th and has matinée performances. Tickets for the all-age show can be purchased at http://www.DenverCenter.org.